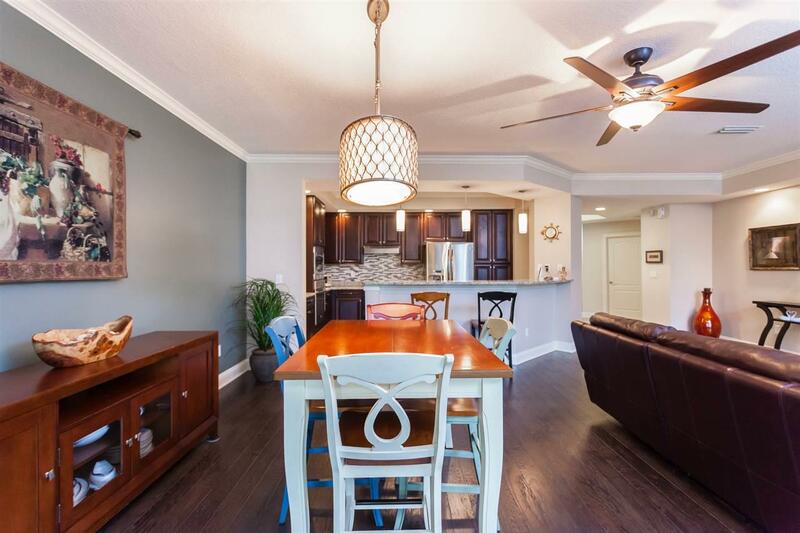 This beautiful completely remodeled large 3/3 condo is on the GROUND FLOOR with Attached GARAGE. 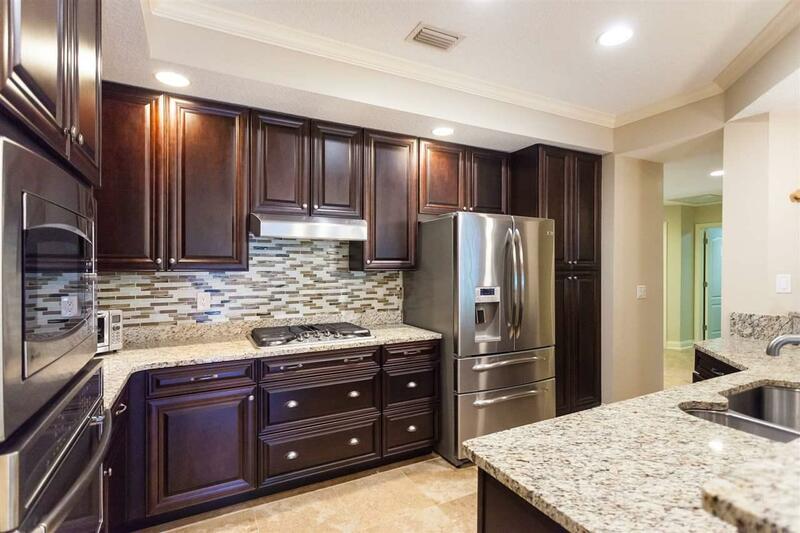 Remodeled Gourmet Chef Inspired Kitchen Boast Granite Counters, Travertine Tile Floors, Stainless Steel Appliances (new 2016) abundant 42 inch Wood Cabinets topped with crown molding, Tile Back splash and Pendant lights. 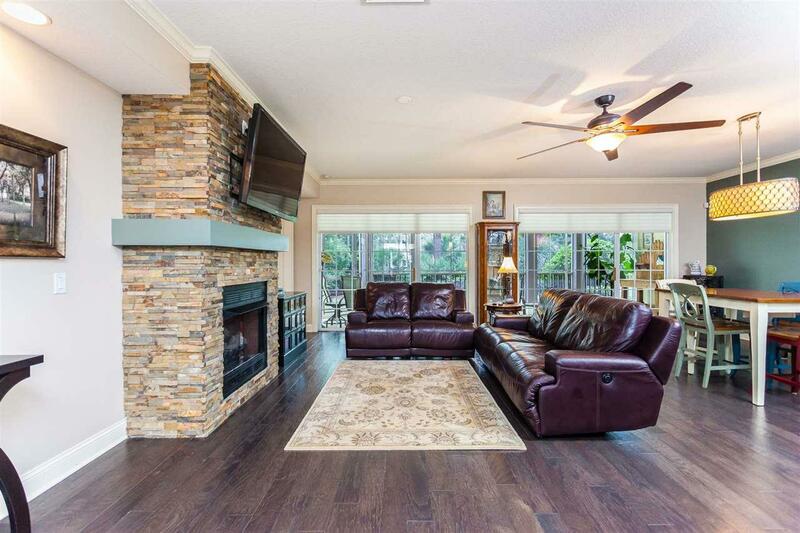 Family Room & Dining Room enjoy Wide Planked Wood Floors, Stone Gas Fireplace, Wall to Wall Sliding Glass Doors to Screened Lanai and a Private Preserve View. Master Suite is spacious with Wood Flooring and access to Outside Patio with Private Preserve View. Master Bath has Granite Dual Vanities, Oversized Shower with built in bench, Travertine Tile Floors and Large Walk-In Closet. All Guest Baths have Granite Counters. Amenities on Property are Quite Special. 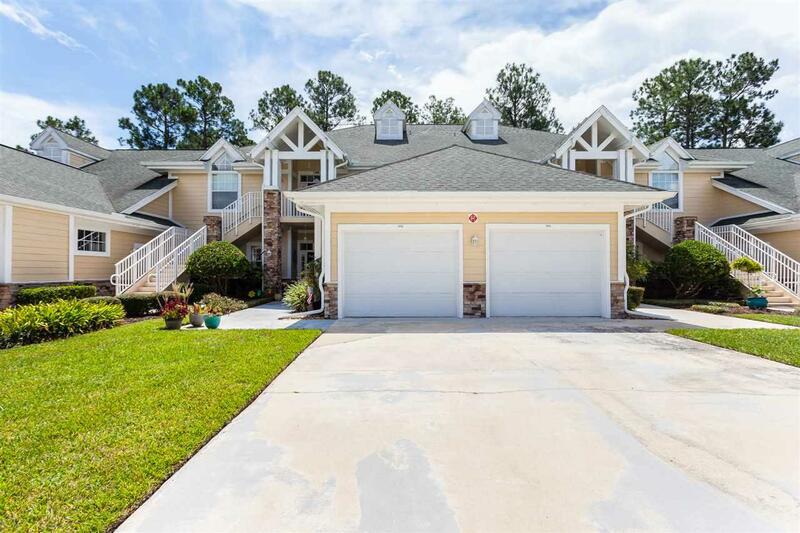 Remodeled Clubhouse and Fitness Center in 2016, Tropical Pool PLUS all Amenities of WGV King and Bear which include Multiple pools, Fitness Center, Pickle Ball Courts, Playgrounds, Dog Park, Soccer and Baseball Fields and More. This served as the model for La Fontana before their current model was built. Monthly Condo Fee includes Water, Sewer, Basic Cable, Gas and Full Lawn Care. as well as the use of the newly remodeled club house and great pool area. Tankless Water Heater and Water Softener. Garage includes Extra Storage Areas.